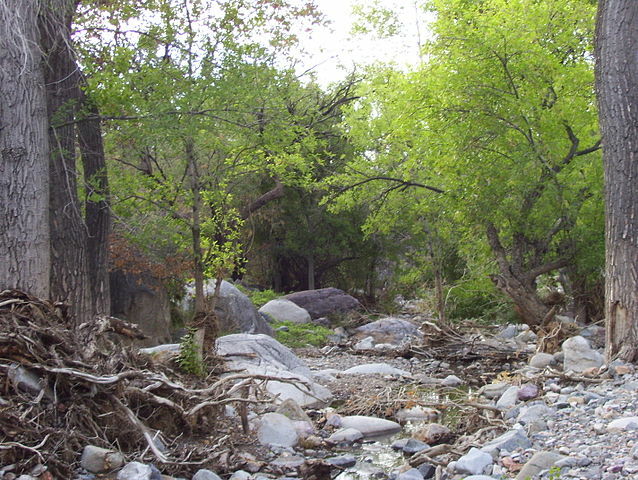 Madera Canyon is a north-facing valley in the Santa Rita Mountains with riparian woodland along an intermittent stream, bordered by mesquite, juniper-oak woodlands, and pine forests. Native Peoples lived in the Santa Rita Mountains for thousands of years, known from artifacts of O’odham tribes. 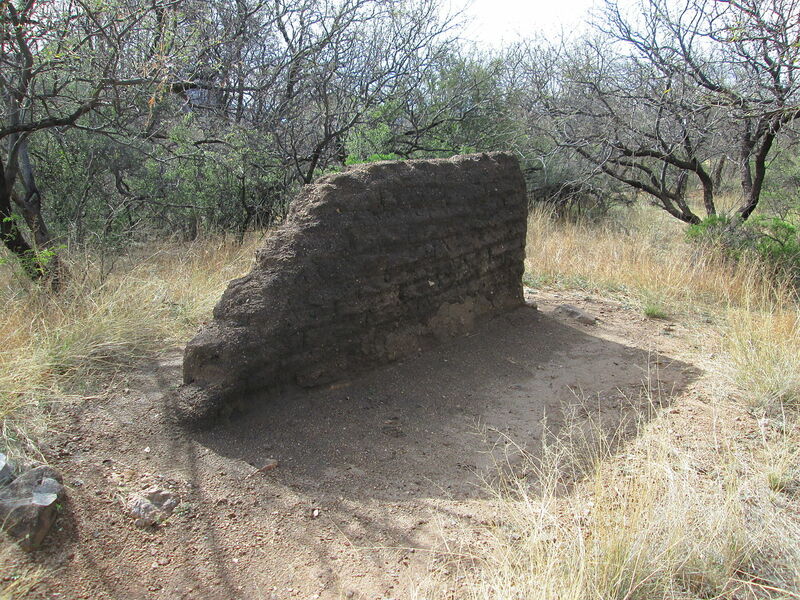 The oldest structure in the Canyon is believed to have been built by a sheepherder around 1880. 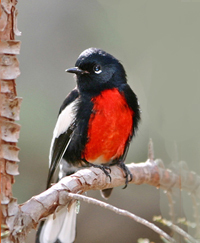 Home to over 250 bird species, including 15 hummingbird species, visitors from all over the world arrive in search of specialties; Elegant Trogon, Elf Owl, Sulphur-bellied Flycatcher, and Painted Redstart. The upper loop parking area (Wrightson parking) will be in use during search activities between 6 am and Noon, so parking will be limited. During those hours, please use the Amphitheater Nature Trail Parking area to access upper elevation trails. We plan to support the Forest Service to the tune of $25,000 when they rebuild the Proctor trail to make it fully handicap accessible from the trailhead to Proctor Road. The money we have committed comes from our operations budget, and we need to replace it. Our campaign to support the Proctor Trail Accessibility project by raising $25,000 is now underway. Please consider helping by sending a check or with the Donate Button on our Join/Donate page. Becoming a Friend of Madera Canyon offers access to interesting, fulfilling volunteer opportunities, but your best reward is knowing your support helps to preserve this special piece of our Nation's wilderness habitat. Interested in Madera Canyon News? Please consider joining our mailing list to receive our free newsletter. Your address is never sold or shared, and every note includes an easy link to unsubscribe. 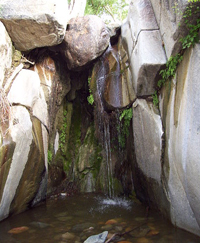 With lofty mountain peaks, forested slopes, seasonal streams, and an amazing variety of plants and wildlife, Madera Canyon has become a popular recreational destination. Madera hiking trails are applauded throughout the Southwest, and vary from paved, handicap-accessible trails and gentle walking paths in the lower canyon, to steep, expert trails leading to the top of 9,453-foot Mt. Wrightson. 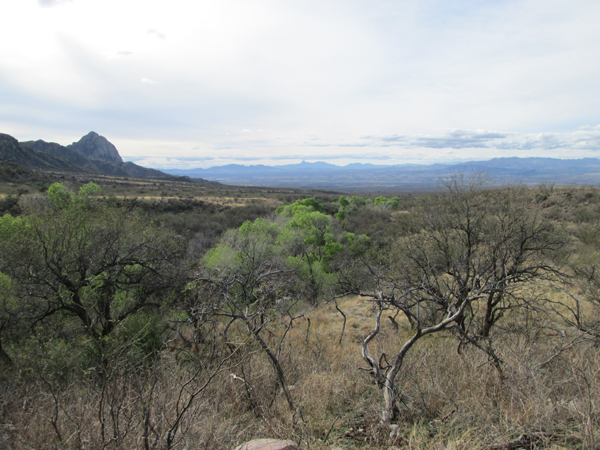 The third best birding destination in the United States is Southeastern Arizona, with Madera Canyon at its heart. With fifteen species of hummingbirds, Elegant Trogon, Sulphur-bellied Flycatcher, Black-capped Gnatcatcher, Flame-colored Tanager, 36 species of wood warblers, and over 256 species of birds documented, it is a "required" site for all serious birders. White-tailed and Mule Deer, Wild Turkeys, rabbits and squirrels are regularly observed. Other animals such as Black Bear, Coati, fox, Ring-tailed Cats, Raccoons, Bobcats, and Mountain Lion are more shy and only occasionally seen. Sixteen species of bats have been recorded in the Canyon. It is unusual to spend any time in Madera Canyon without seeing signs of wildlife. Madera Canyon and Madera Creek traverse four life zones and many habitats between the desert floor and the mountaintops, making the Santa Rita Mountains in which Madera Canyon resides, a world-famous sky island known for its unique and abundant flora and fauna - from Prickly-Pear cactus in the lower Canyon to Douglas Fir and Quaking Aspen on Mt. Wrightson.